DA-15 Big Powered Trooper Set is made up of five Dia-Naught troopers that each stand just over and inch tall. 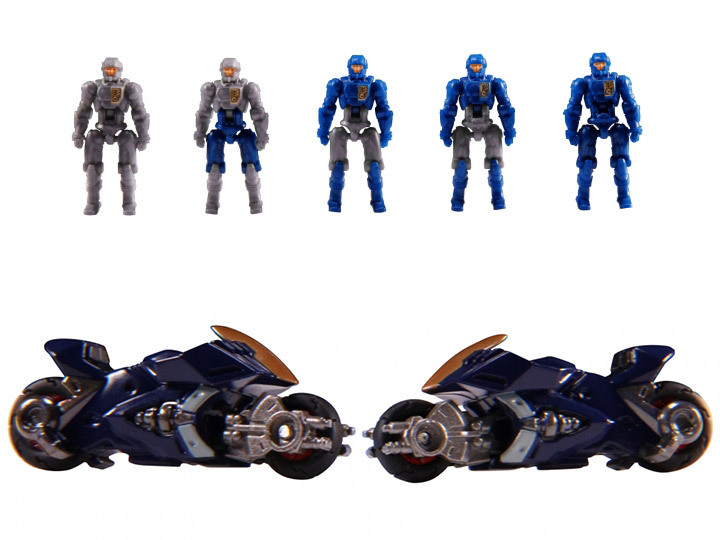 Also included for this set are two Diaclone Motorcycles that they are able to ride. 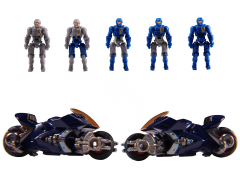 This set is intended to be used with the DA-14 Big Powered GV set, but is compatible with all the vehicles in the Diaclone Reboot line.